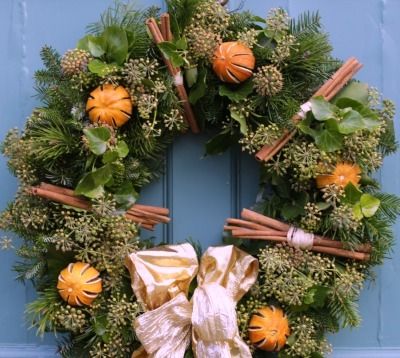 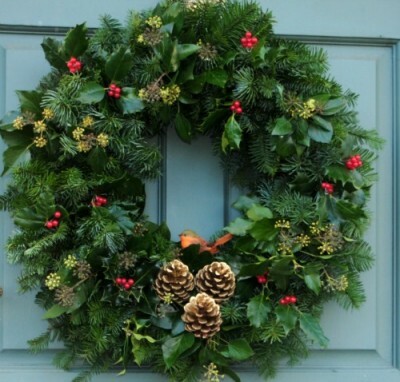 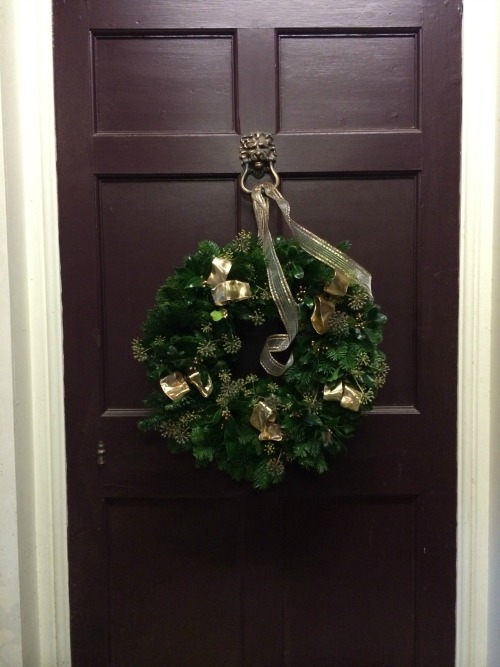 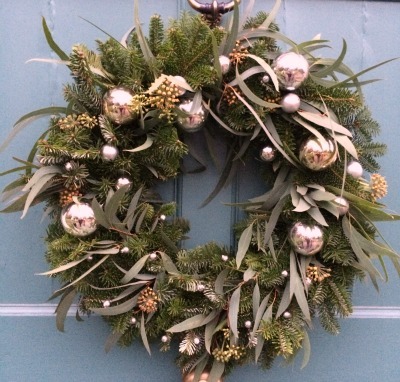 A glamorous yet understated wreath of scented Noble and other mixed firs, wild holly, wild ivy. 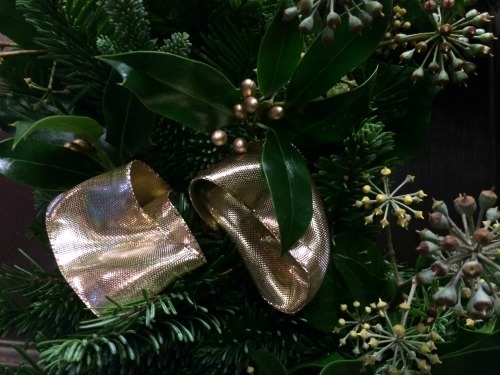 gold berries and gold bows. 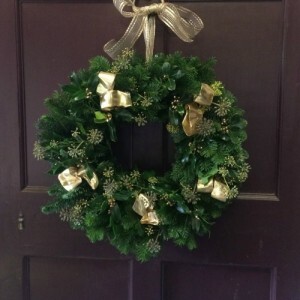 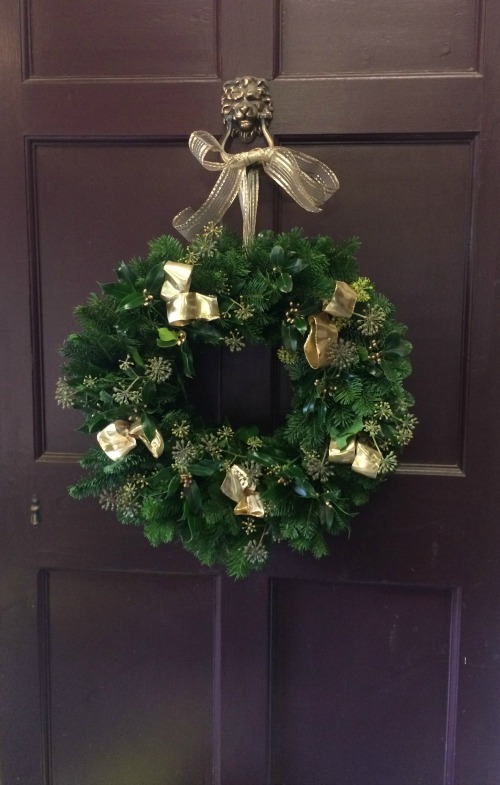 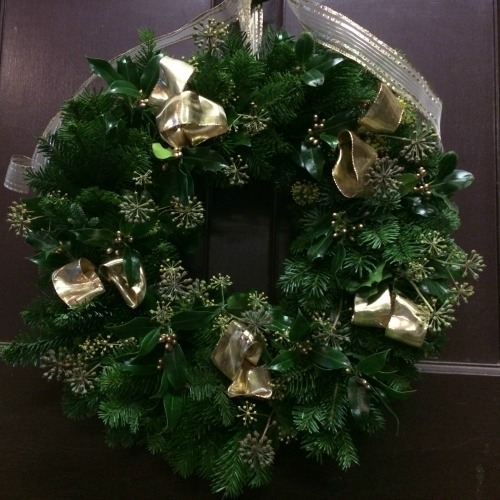 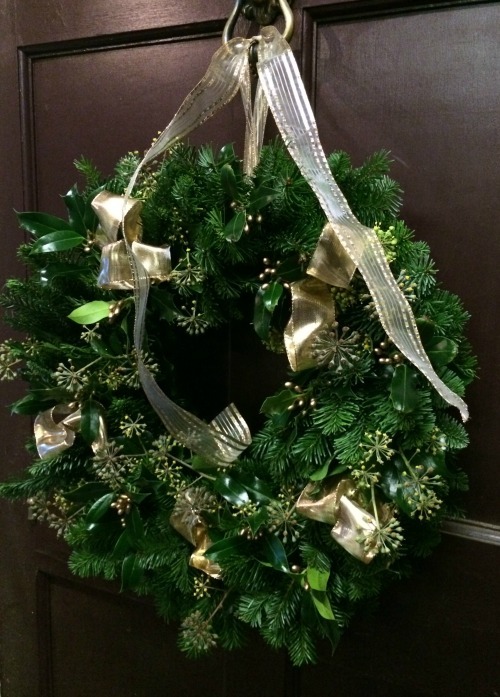 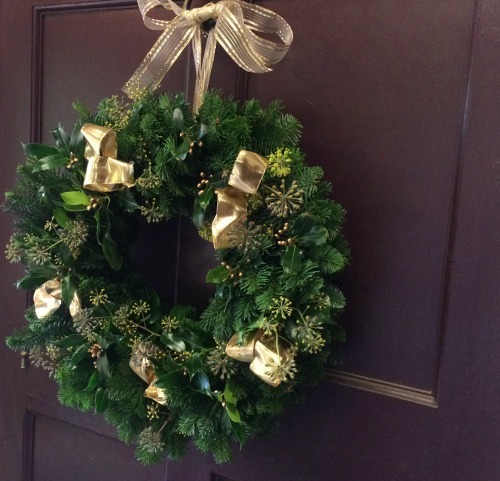 Beautiful in its simplicity, this luxury green wreath is a classic. 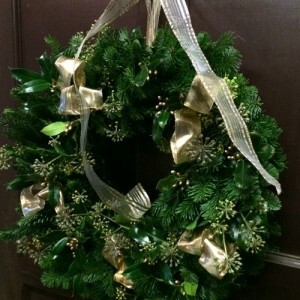 It is handmade on a base of mixed scented firs with wild holly with gold berries, wild ivy and gold bows. 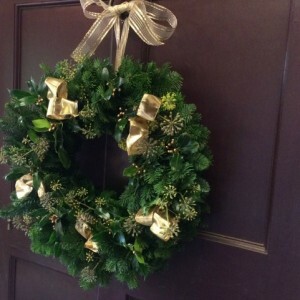 A hanging ribbon in sheer gold is also provided. 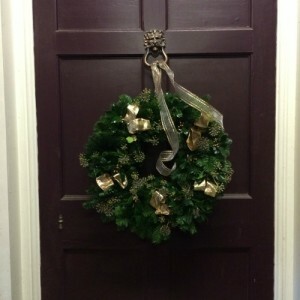 Be the first to review “NEW! 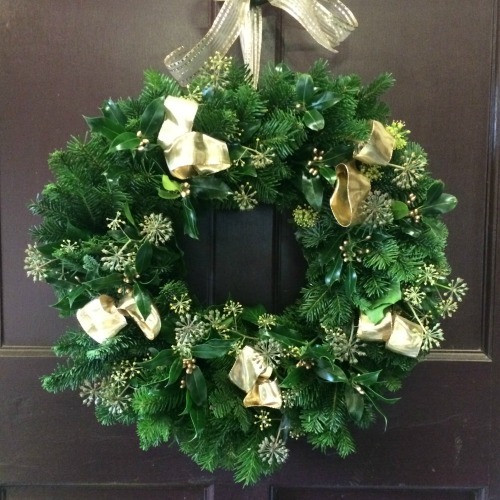 Gold and Green (Grande)” Click here to cancel reply.